So you have this awesome multi-million dollar powersports dealership. This thing is loaded to the hilt with ATVs, side-by-sides, motorcycles, PWCs and maybe even snowmobiles. The units look great on the showroom floor, and you have cool displays of fake rocks or waterfalls that cost you an arm and a leg to help your consumers envision the products on the road. Moving back in the store, you have walls full of jackets and riding gear. You have rows and rows of helmets with every size and color because you want your customers to have the best selection under the sun, so when they buy a new unit, it’s super easy to get that upsell for a piece of protective wear to complement their purchase. Now let’s meet Ray. Ray has been one of your most loyal customers for years. He probably comes into your dealership at least once a week. Although he comes in to talk a lot, he’s also purchased multiple units and accessories throughout the years. 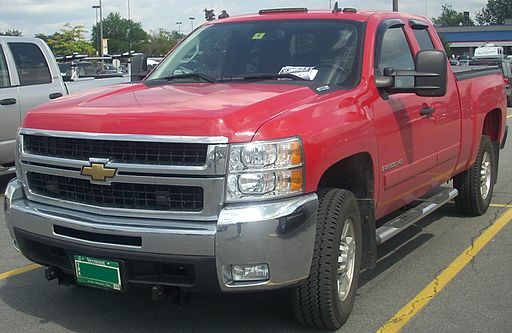 When that red Chevy 2500 crew cab with the 8-inch lift, duel exhaust, and 38-inch mudders pulls onto the lot, everyone in the dealership knows that it’s Ray. Imagine that a new dealership appears across the road. They maybe carry one tier-two OEM and picked up all the major distributors, so they have access to a ton of accessories. You send one of your employees over to the store undercover and see that they carry very little in the store. However, a sales person told your employee that they can order anything, have it there in a few days, and it would cost way less than the dealership across the road – YOUR dealership. A couple of weeks go by, and guess who’s truck you see parked in front of this new store? Yep, you guessed it – it’s Ray’s. To top it off, you see him walking out with a giant Parts Unlimited bag. So Ray, who has been super loyal to you for years, just bought something from your competitor! So, how does this tie this back to your website? Your website is the online representation of your store. How easy is it to find your site when you Google industry keywords? How many other competitor websites pull up on the first page? Online, you’re not just competing with dealerships in your area. Rather, they’re across the country, and they may not have to charge tax and might even have free shipping. There are a lot of incentives for your customers to buy online from someone else. So I ask you, what are you doing to keep Ray loyal in your dealership? The fact is, Ray’s trying to manage a successful budget for his family, just like you’re trying to run a profitable business. Money saved on a new helmet can get Ray a new accessory for his truck or a new Blu-ray player for his house. Keep your eye on the prize, and make sure you’re working on your business and not in it. Being aware of your competition and staying competitive will produce dollars and keep customers coming through your doors.